My trips to the zoo in my own childhood have never been this frequent as they are now, only because BabyN' is extremely fond of animals. Infact, the word 'extremely' may not even truly define his keen interest in these beautiful creatures. To give you guys a better idea, every time he visits a toy shop the first thing he picks up is always something to do with the animals! 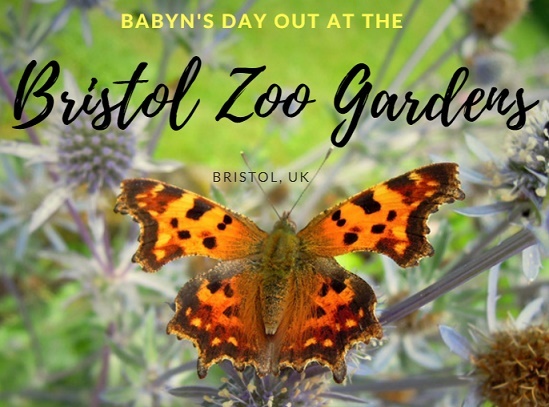 Recently, we took BabyN' to the popular Bristol Zoo Gardens in Bristol, and it turned out to be a perfect day-out for him. 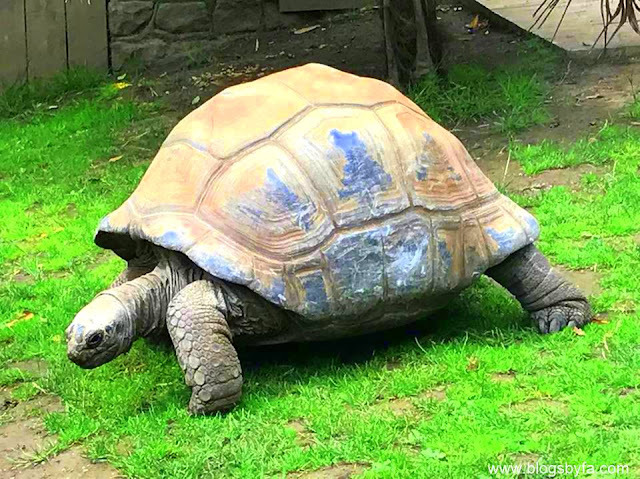 I've been to some other zoos locally, but most have just the animal enclosures with no additional activity for the visitors and even the variety of animals is not very wide. However, the Bristol zoo has over 400 animal species ans 12 acres of gardens, which are open to the visitors throughout the year. As always, we traveled by car and was glad to see a dedicated parking lot for the visitors of the zoo. The parking charge on the day was £3. It was a Saturday, so the area around also had free parking but as expected, it was all full so we turned the car to another street and parked there. Our car was hardly a minute's walk from the zoo and we easily avoided paying the parking charge. 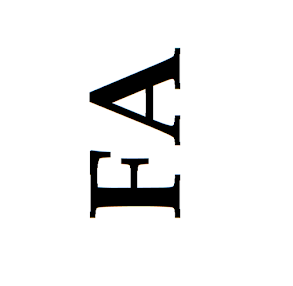 To find some other ways in which you can save when on holiday, you can read here. 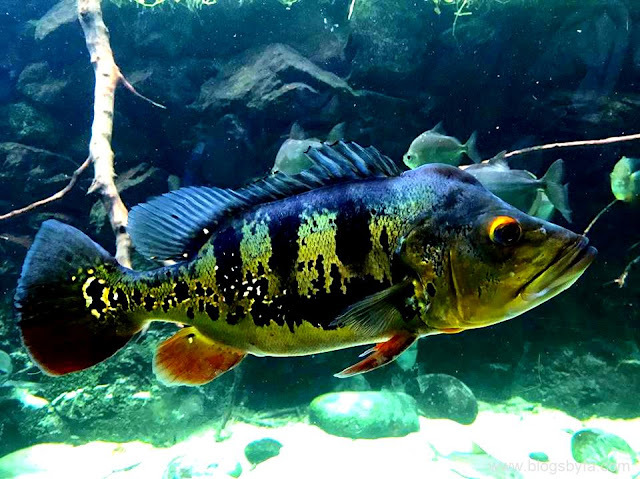 Generally, I do conduct some bit of research before visiting any place, whatever it is especially if it's not local to us and therefore, I had already skimmed through the website of the zoo to know about the activities going on. As you enter the building, there are several counters where you can get the tickets from and generally an adult ticket costs £22 while a child ticket costs £15 (children under 2 go free). Once you've collected the tickets, simply get in and be ready for the animal entertainment. 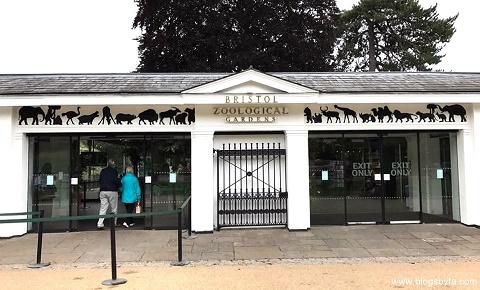 Bristol Zoo has a very impressive design and layout and is spread across a huge area, which also gave us an idea about the excellent variety of animals. 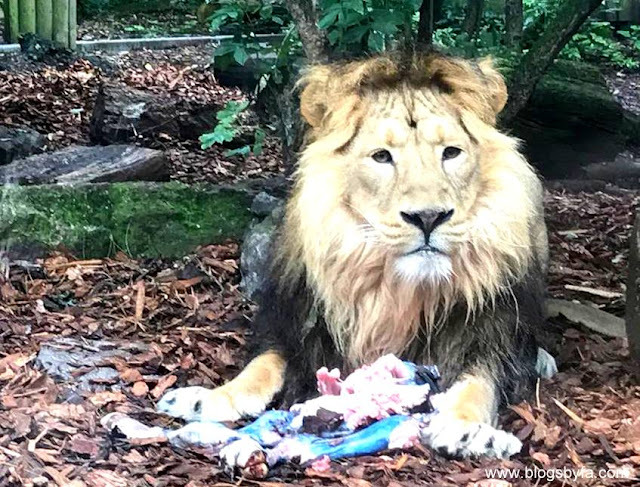 The first thing, we saw were the pink flamingos followed by the lion enclosure where the king of the jungle was busy feasting on the meat that had been given to him by his keeper. We spent a good 10 minutes observing the wild cat munch on his food during which he even stood up for a few seconds to look around, and I'm guessing he was distracted because of someone's camera flashing on him. BabyN' was really overjoyed to see the Asiatic lion and we took lots of photos with it. We also came across a fun fact in the lion enclosure saying that the lions pee in an area to mark their territory and to make it fun for kids, the Bristol Zoo had also made a pretend lion with a button from which water (pretend pee) comes out when you press it. Moving on, we saw lots of other enclosures and animals such as the amphibians, sea life including lots of amazing fish, penguins and seals, gorillas and monkeys. Bristol Zoo Gardens also have over 9 talks and feeds daily, about animals such as the lions, gorillas and penguins. Luckily, we also got a chance to attend the gorilla talk and feed that was held at the zoo and it was great watching the gorillas munching on the fresh fruits and vegetables that were being given to them by their keeper, while another keeper was telling us about the family of the Western lowland gorillas (some of which were also, a lot more older than me). 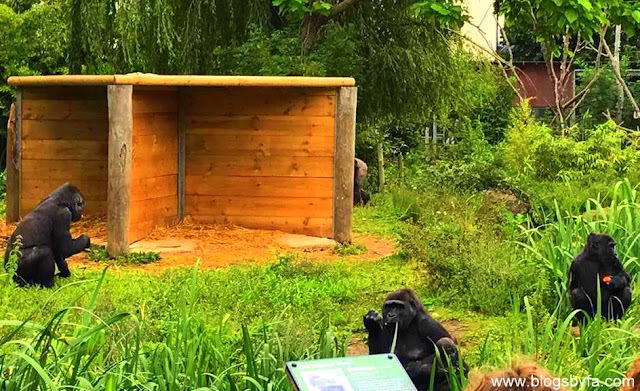 Although the gorilla house at the zoo itself has a unique 180 degree view, seeing the animals come out from their enclosure and walking towards the open ground was fascinating (see below). 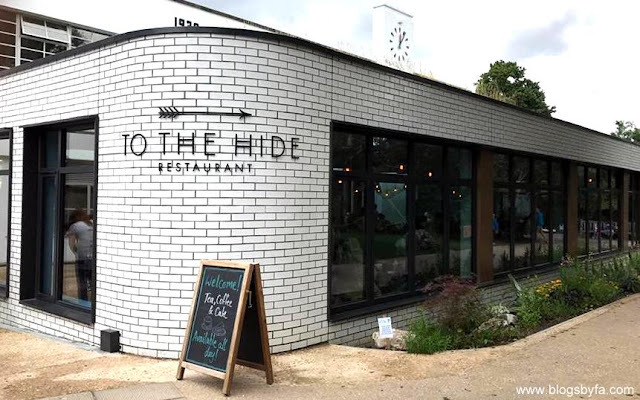 The Bristol Zoo also has a restaurant called 'The Hide,' where you can chill and relax while having tea or your meal. They offer a variety of items on the menu which the visitors of the zoo can choose from and charge up after strolling around the place. Nowadays since it even summer holidays, the Bristol Zoo Gardens has also setup a project in the zoo called Dino Mania (free with zoo entry) aimed for some roar-some fun. 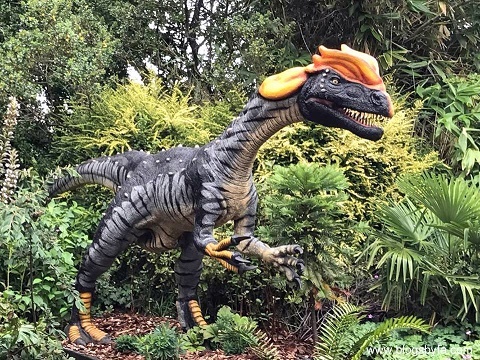 They've got pretend 11 life-like and animatronic dinosaur figures that are not just fun to see but also fun to play with as they move, open their mouths and make noises. We even spotted a dinosaur that was spraying water and all the kids were really amused with it. Further along, we also saw a large dinosaur enclosure within the boundary of Dino Mania that had another huge dinosaur and some fun activities for children of all ages. BabyN' really enjoyed discovering a dino fossil by removing the sand with a brush, throwing rings and putting dinosaurs and their food in their designated boxes in another activity spot. The older kids played puzzles, made drawings, did crossword land enjoyed some other games too! The setup will be there at the zoo till the 3rd of September so make sure to visit before that date, to ensure that you don't miss the popular Dino Mania. I'm sure we must have spent at least an hour at the Dino Mania as BabyN' was in no mood to go home but my husband and I were quite hungry at that time, and we wanted to eat at a restaurant in the Bristol town center so we decided to leave. The exit is through their shop full of various toys and animal figures allowing you to take home some profound memories of the time spent at the brilliant Bristol Zoo. We had a fun filled thrilling day at the Bristol Zoo, and definitely recommend it for a family day out with kids. I'm also hoping to do a little vlog on my visit, and I'll be sharing with you soon. Meanwhile, you can also read about my trip to the last wildlife park I visited on the blog, here. Watch the VLOG on our trip to the Bristol Zoo Gardens on my YouTube Channel. In any city we visit, my daughter loves going to the zoo and the aquarium. She too is an animal lover like BabyN. My son seems to be the same as well! Looks like a nice place to go with kids.Nice pics. Oh I have never been to Bristol zoo! Looks good, will have to put it on my list of places to visit! Wow. I just love visiting zoos ever since childhood. It's amazing how we can observe the different varieties of animals although I feel like you said, most zoos dont have much activities to do. 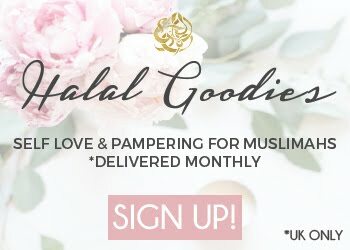 Will definitely check this one out! Btw beautuful pics! When I was younger I remember going to the zoo, parks and gardens all the time! This is something I really want to do more of. 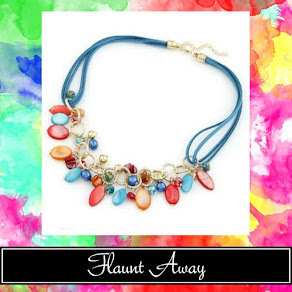 The memories that get created during the family trips are always one to remember! 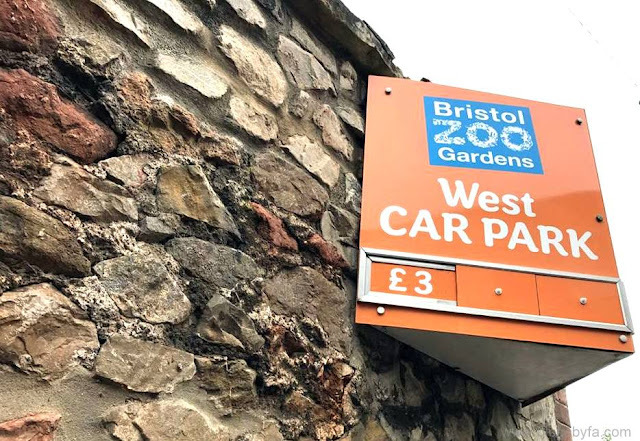 I have never been to Bristol Zoo Gardens, but I think the price is reasonable and standard. The dinosaur section really sounds interesting! Looking forward to your Vlog!